Want to connect with others around Berkeley that share your interest in food and food systems? 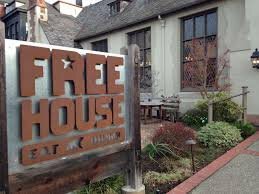 Come to Free House on Monday, 4/15 from 6pm - 8pm for a happy hour with the Goldman School of Public Policy. First drink free courtesy of Food@Haas!